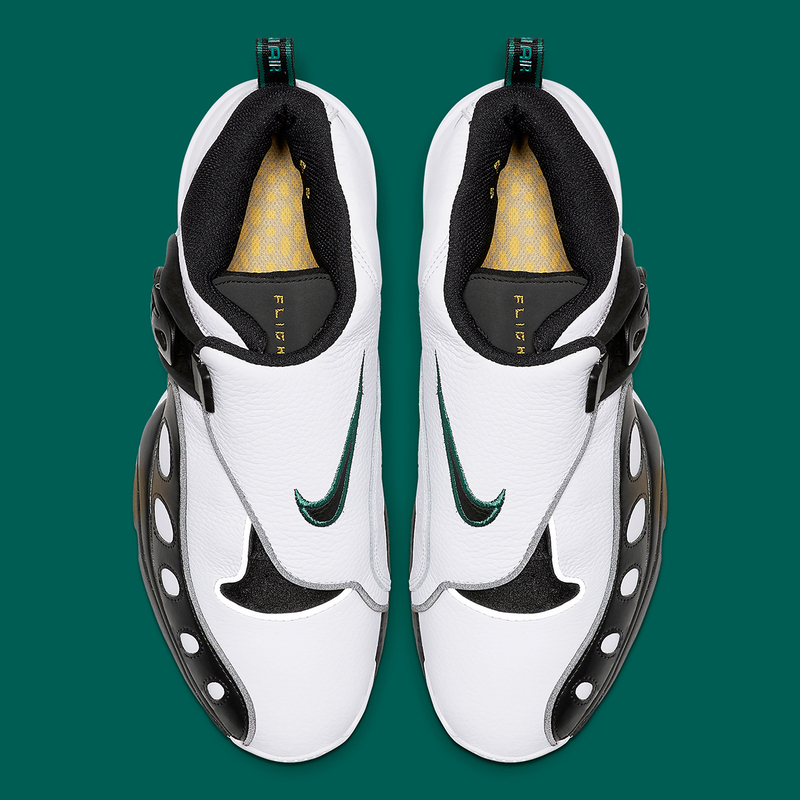 Lead by the dynamic duo of Gary Payton and Shawn Kemp, the Seattle Supersonics were a Western Conference powerhouse in the late ’90s, and now Nike is paying homage to those days of yore with the first-ever re-release of Payton’s Nike Zoom GP, 20 long years after it originally debuted. 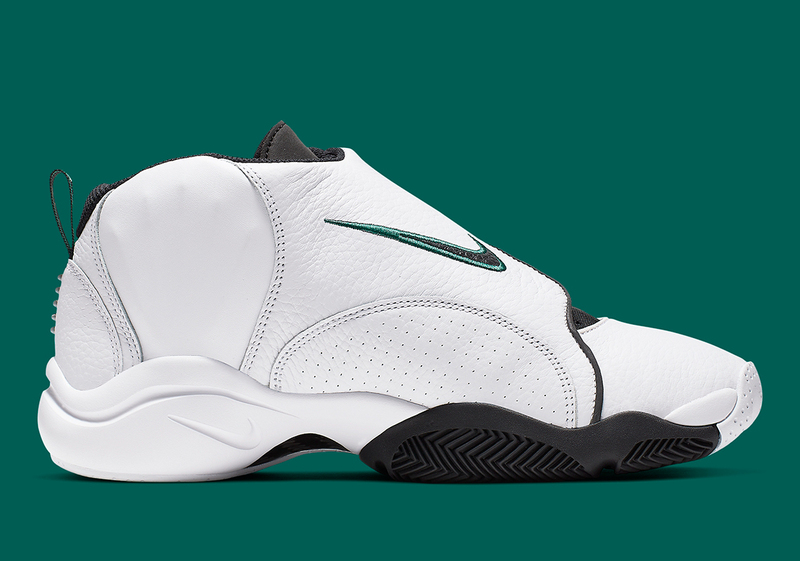 Boasting a look that’s just as complex and in-your-face as GP himself, the Glove was designed by Eric Avar — the man responsible for many of Kobe Bryant‘s signature shoes — and features compelling details like an asymmetrical lace cover, a clip lockdown system inspired by ski boots, and a unique mudugard with cut-out oval detailing. 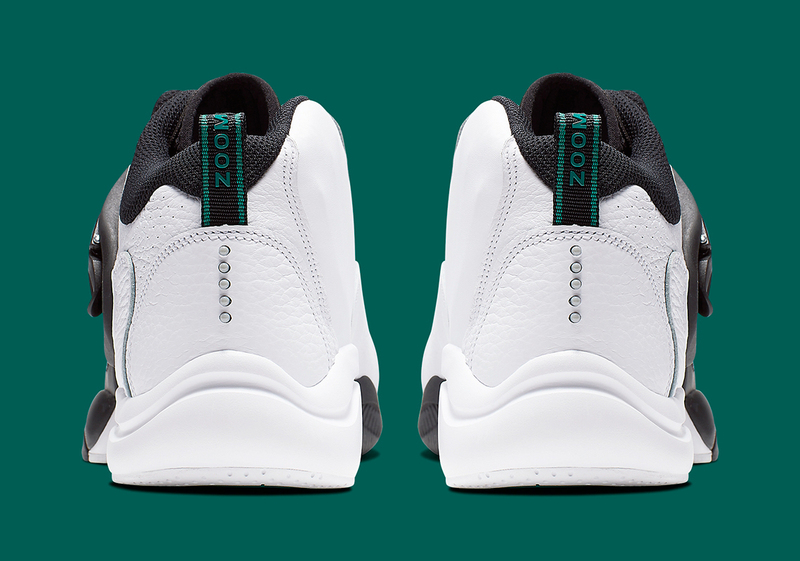 The shoes are no slouch from a performance and material standpoint either: they boast a full-grain white/black leather upper embellished with a large embroidered Swoosh, and a midsole that’s packed chock-full of responsive Zoom Air cushioning. This set up geared towards quickness, support, and lockdown was perfect for the defensive maven’s aggressive style of play, and offers slight shades of modern-day Nike Basketball shoes that are geared towards guards. 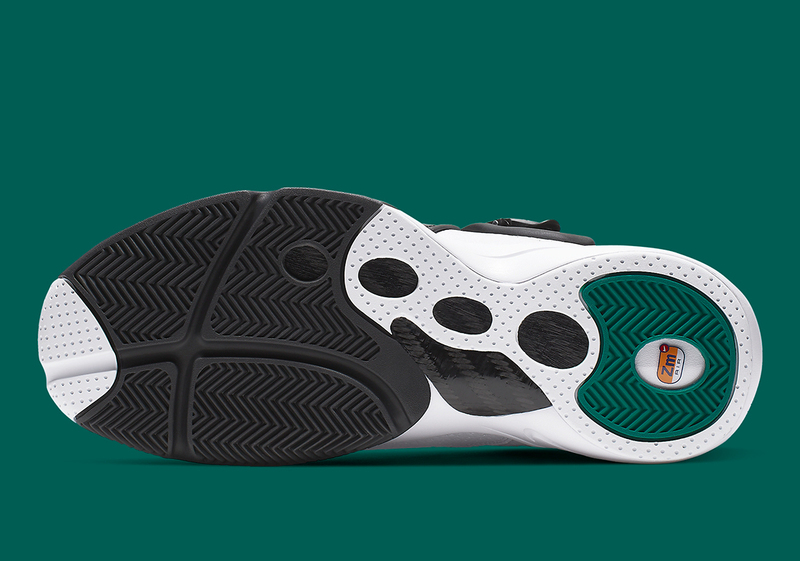 Although Payton played in other silhouettes like the Zoom Glove and Zoom Hawk Flight, the Zoom GP was his first-ever bona-fide signature shoe, so this re-release is sure to delight retro Nike Basketball fans and old-school Sonics lovers alike. Still futuristic in its aesthetic two decades later, you can expect the GP to release on April 20th for $160 USD, so check a store list below to see where you’ll be able to secure a pair. The post Where To Buy The Nike Zoom GP Retro appeared first on Sneaker News.